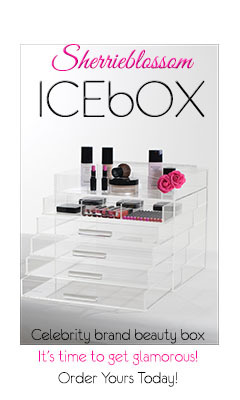 kandeej.com: IMATS is the place to be for make-up! what the huckleberry happens there? IT is like the Mecca, the jam, the place...the shiitake...for make-up! Every beauty-cosmetic company that make-up artist use and love is there! and...a whole slew of youtube beauty gurus! In the video, you'll see all the gurus I got to meet, but ones I wanted to meet but missed..... Michelle Phan, Juicystar07 (we texted but didnt' get to meet), Dulcecandy87, tiffanyd...and those are the only ones I heard were there! I'd love to meet them all! Maybe next time! I had such a fun day! thanks to all my "Kandee Fam" that came up and said hi! I was honored to feel to loved by everyone! I got to see what it feels like to feel like a celebrity for the day! I had no idea htat so many precious hearts would come up and say hi! Thank you everyone for being so amazing and loving!!!! Not only did I get tons of awesome goodies, from brushes to my fav make-up forever products, and some NEW discoveries I'm now in love with!!!! So get ready to be a "butterfly" on the wall with me at IMATS! And to the After Glow party with my new youtube friends, Julieg713, Itsjudytime, enkoremakeup! It was such a fun, fun day!!!! And man, when you have some not fun things in life...it makes you really LOVE the fun days, even more!!!! So get ready to come with me...see what IMATS was like for me, meet a pirate, and meet my new youtube guru friends!!!! Kandee where do you get so much energy from? ?OMG girl I got tired just watching you. But you know what think is awesome? That you are REAL. I can clearly see that you are sweet and beautiful in real life and not just for your videos. I wish I lived by you so we can be friends:) Its so hard to make friends in the Army. Is impossible actually. Maybe Im just not lucky or I cant find girls that are mommies but into makeup and fashion like me. Kandee, you are so freakin' cute! It is a fashion networking group in all of North Carolina and is expanding all over the US. Im part of it as a model/makeup artist. What if we sponser you to come down and host one of your glaminars??? WOudl you come if everything was paid for and we hosted you and all?? Looks fabulous! You're very pretty :) I can't wait to go to the London IMATS! Looks like it was an amazing experience! Thanks for sharing! PS-Loooove the shoes you are wearing in that pic! Your energy is so contagious! Oh my gosh! haha the whole time I was watching your video I had a huge smile and didn't even realize it! You are a huge inspiration and I really admire the person you are and the heart you have! kandee i love reading all of ur posts! u are such a strong person and very dedicated! thank you! Will be there next year in New York. I can't wait!! I absolutely love your personality, you are so sweet Kandee. glad you had a great time! :) and you looked there﻿ SO beautiful! Would love to see everything you bought at IMATS!! THANKS for the fabulous videos! Kandee, GIVE US AN IMATS HAUL, please! 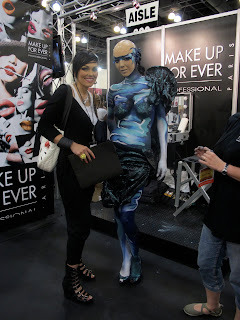 It looks like so much fun to be there at IMATS! I would KILL to be there next year. Not really haha. But honestly, it looks like craaaaazy fun.